Most people agree that Albert Einstein was one of the greatest scientists who ever lived. As with many famous people, however, some interesting facts about his life have been distorted or forgotten over time. When digging a little deeper into his life, we found some nuggets that prove Einstein still has the capacity to surprise and even amaze us. There’s also a bonus entry with the “Einstein Puzzle” to test your intelligence. You don’t need to know physics or have a college degree. Just figure out who owns the fish . . . and discover if you’re part of the supposed 2 percent who can solve the puzzle. 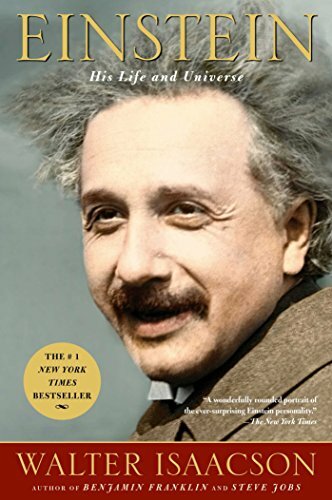 Einstein: His Life and... Walter Isaacson Best Price: $1.99 Buy New $6.78 (as of 04:45 EDT - Details) The discovery of the theory of general relativity is surrounded by serious but little-known allegations of plagiarism by Albert Einstein, German scientist David Hilbert, and their respective supporters. It all started when Hilbert claimed that he had come up with the theory of general relativity first and that his work had been copied by Einstein without due credit. Einstein denied the accusations, saying it was Hilbert who had copied some of Einstein’s earlier papers. At first, most people believed that both scientists had worked independently on the theory of general relativity and that Hilbert had submitted an article about it with the correct equations five days before Einstein did. However, after historians looked into the issue, they found that it was Hilbert who took some ideas from Einstein without giving him credit. 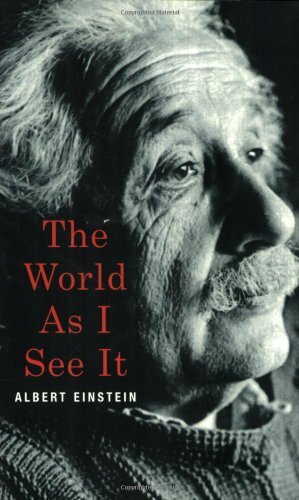 The World As I See It Albert Einstein Best Price: $1.08 Buy New $15.30 (as of 10:05 EDT - Details) Apparently, the proofs originally submitted by Hilbert lacked a critical step that rendered them incorrect. By the time Hilbert’s paper was published months later, he had corrected his error. It then conformed to Einstein’s proofs, which had already been published quite a while earlier. Einstein never failed in high school. In fact, he was so good at math that he was already studying calculus at age 12, three years earlier than normal. At age 15, Einstein wrote an advanced essay that became the basis for his later work in relativity. 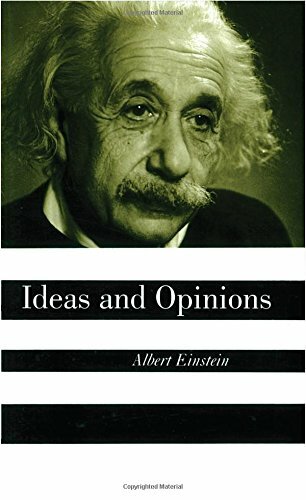 Ideas And Opinions Albert Einstein Best Price: $2.32 Buy New $6.73 (as of 01:00 EDT - Details) The myth that he failed in high school was due to differences in the marking systems between German and Swiss schools. When Einstein changed from a German school to the Canton School in Aargau, Switzerland, the grading system—1 through 6 (similar to A through F)—was reversed. The grade of 6, which used to be the lowest grade, become the highest, and the grade of 1, which used to be the highest grade, became the lowest. However, Einstein did fail his college entrance examination. Before he went to Aargau, where the failure myth began, he had taken an examination to advance to the Federal Polytechnic School in Switzerland. Einstein did exceptionally well on his mathematics and physics tests, but he scored poorly in several nonscience subjects, especially French. 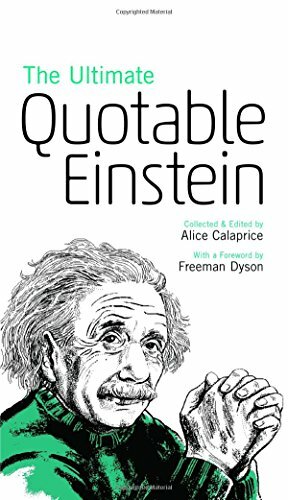 The Ultimate Quotable ... Albert Einstein Best Price: $5.51 Buy New $6.10 (as of 06:20 EDT - Details) During his lifetime, Einstein was credited with several inventions, including the Einstein refrigerator which he coinvented with his friend and fellow physicist Leo Szilard. Unlike regular refrigerators, the Einstein refrigerator did not use electricity. Instead, it cooled food through an absorption process that used pressure changes between gases and liquids to reduce the temperature in a food chamber. Einstein was motivated to invent his refrigerator after hearing of the deaths of a German family who inhaled toxic gases leaking from a conventional fridge. In the 1800s, the mechanical compressors in refrigerators could have faulty seals that leaked poisonous gases such as sulfur dioxide and methyl chloride. Einstein also invented a pump and a blouse. The blouse had two set of buttons sewn parallel to each other. One set of buttons would make the blouse fit a slim person while the other set would make it just right for a much heavier person. So a slim person who bought an Einstein blouse and added weight over time or a much heavier person who bought one and lost weight over time did not need to buy another blouse. Instead, they would just use the second row of buttons.